Stiletto Contest Winner – Twice! Stiletto Contest Finalist – Twice! Shades of Gray received a North American Book Dealers Exchange (NABE) Book Achievement Award for Best Book in the Category of Romance for Fall 2011. For 27 years, the NABE has presented Pinnacle Book Awards quarterly to outstanding books by its members. A few weeks ago, I announced that I was a finalist in the 2011 Get Your Stiletto in the Door contest. I was thrilled to learn that my recently released novel, Shades of Gray, and my upcoming novel, The Ex Lottery, each won first place in their respective categories in the 2011 Stiletto Contest. The seventh annual writing contest was sponsored by Chick Lit Writers of the World, an online chapter of Romance Writers of America. The contest offered wonderful detailed feedback and support from authors, agents, and publishers. Being new to the romance-writing field, I entered the contest for the feedback; winning was an unexpected bonus. I want to extend a special thank you to the judges—editor Toni Plummer of St. Martin’s, agent Elaine Spencer of The Knight Agency, E-Publisher Kelli Collins of Ellora’s Cave, editor Esi Sogah of Avon, agent Paige Wheeler of Folio Literary Management, and E-Publisher Amanda Bergeron of Avon Impulse. For the full list of winners by category, click here. Shades of Gray was selected as one of the Critics’ Picks in Indie by Kirkus Reviews—The World’s Toughest Book Critics. To see the latest picks, go to Kirkus, click on Books, then Indie. The full review appears at http://www.kirkusreviews.com/book-reviews/kim-sanders/shades-gray/. In Sanders’ debut novel, renowned photographer Samantha Jennings loves her camera and solitude, but when she’s accused of murdering her lover, only the man who broke her heart 10 years earlier can save her. Sanders’ romantic thriller leans more to the romance side of this hybrid-genre story, but the strong characters and story make this an enjoyable read from beginning to end. Samantha “Sam” Jennings records the world around her in her photography, but retreats to her dog and secluded beach home in South Carolina whenever possible. After having been accused of murdering her lover—in a crime of passion no less—she’s managed to elude press and police. But she ventures out of hiding to tell her side of the story, to let the judge know it’s all a big mistake, that she’d never kill her best friend, Ben. Sam’s courtroom appearance brings the press and a past she’s been trying to avoid for over 10 years; Caleb broke 17-year-old Sam’s heart one summer, and she’s been running away from him, and love, ever since. Now, he’s a famous attorney on the fast track to a promising political career—and the only man who can save Sam. She resists his help at first, but puts aside her pride and anger when she realizes Caleb will defend her as no other man can. As they try to find the real murderer to clear Sam, their passion rekindles, but the real murderer may separate them forever. This story oozes all the necessary passion of any good romance novel, a blend of deep betrayal and sensuality. The author keeps the story moving and the sweltering Southern romance hot. A few bumps in the logical progression of the mystery make the story a little less believable, but as a romance, the book hits all the right moments. Sanders also strikes a nice balance between the mystery and romance. Sometimes the story reads like it’s moving through a romance genre checklist, but the story slides by quickly thanks to Sanders’ strong writing. The romance enthusiast won’t be disappointed with this novel that never skimps on passion or story. Are you a romance enthusiast? Get your copy of Shades of Gray today. 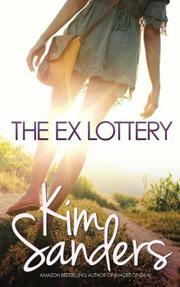 In August, I finished Shades of Gray and started writing my next novel, The Ex Lottery. I was searching the Internet, looking for networking and marketing opportunities, and I noticed a contest offered by Chick Lit Writers of the World. It was a wonderful contest with a wonderful name—Get Your Stiletto in the Door. The contest offered objective feedback from the first-round judges. I entered both books in the contest just before the deadline. Much to my delight, both books made it to the finals. Not only did I benefit from constructive feedback, but now top agents and publishers are reviewing my entries. You can see the list of finalists by category here: http://chicklitwriters.com/stiletto-contest/stilettocontest/stiletto-winners. Shades of Gray is now available for your Kindle. Click the link below to get your copy today! The Kindle version will be available soon, so keep watching the site for more information! Kim Sanders is an Amazon bestselling author of contemporary romance. 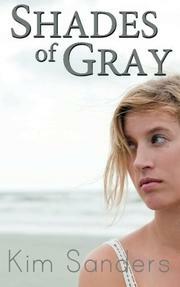 Her debut novel, Shades of Gray, ranked #1 in paid contemporary romance. After years of writing news stories as a journalist and boring briefs as an attorney, Sanders now spends her days writing the happily-ever-after world of romantic fiction. Sanders’s latest release is The Ex Lottery.